Magdalena (Margaret) Liutkus Banzin with Tony, Anna, Frank, Helen and Margaret in 1918. 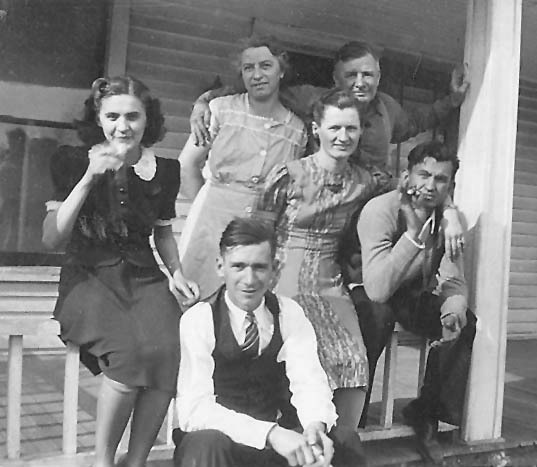 Mykolas (Michael) Banzin has been added at right, since he died before a family portrait was taken. This image may have been from his wedding photo. Mykolas (Michael) Banzin (Bandzinas in Lithuanian sometimes spelled Benzin) was born in 1878 in Gaure, Lithuania, (then part of Czarist Russia), just east of Taurage, near what was then the (German) Prussian (Konigsberg) border, today the Russian Kaliningrad region. He arrived in central Illinois in 1902 after leaving by ship from Liepaja, Latvia. Mykolas had relatives in Riverton; in fact there were several Banzin families that lived in the area who had arrived around 1897, so he went there to work in the nearby coal mines. There were many Irish, Italian and Lithuanians working in these mines. Magdalena (Margaret) Liutkus was born in 1888 in Pasaltuonis, near Taurage, and also had a relative in Riverton. She departed by ship from Hamburg, Germany, arrived in the U.S. in March 1907, and was married within a few weeks of arrival to Mykolas at St. Joseph’s Catholic Church in Riverton. 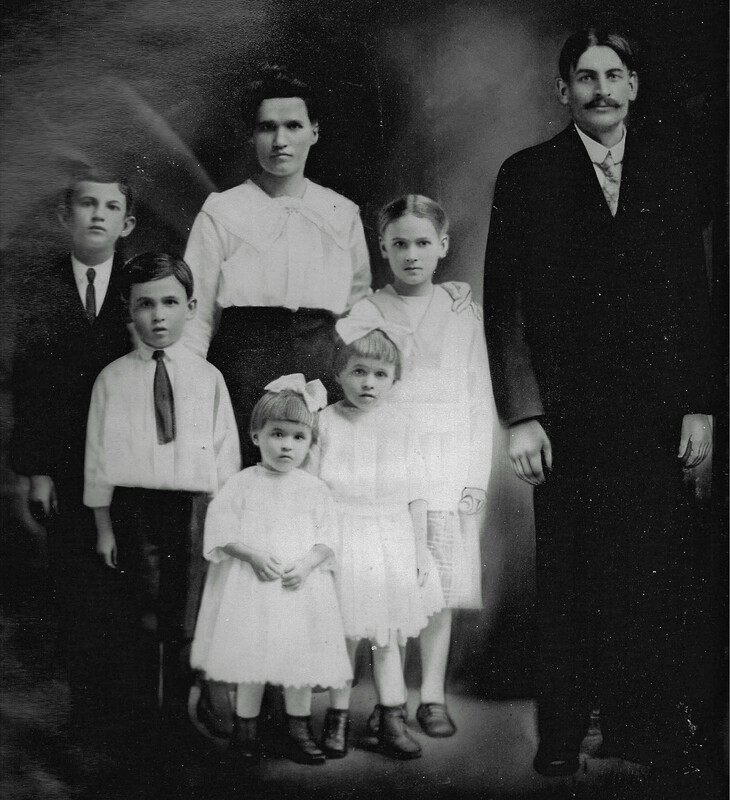 Mykolas and Magdalena had five children: Anthony (b 1908), Annie (1909), Frank (1912), Helen (1914) and Margaret (1916). Sometime in 1916 or 1917, the family moved to a small house at 1508 E. Miller St. on the north side of Springfield . Later, Magdalena moved to 1607 E. Moffatt St.
Mykolas died in 1918 at the age of 40 from a perforated ulcer and left his wife Magdalena with five small children. To support the family, the oldest boy, Tony Banzin, went to work at International Shoe Factory on N. 11th St. when he was 10 years old and worked there until he retired. The factory was located where Goodwill presently operates. In 1925, Magdalena remarried, to Joseph Kellus (b 1889), also a coal miner and had two sons: Joseph, a fireman (b 1926) and John (1929). In 1937, Helen Banzin married William E. Dodd, a carpenter for Evans Construction, at St. Vincent de Paul Lithuanian Catholic Church at Eighth and Enos. The family had attended this church since leaving St. Joseph’s in Riverton. 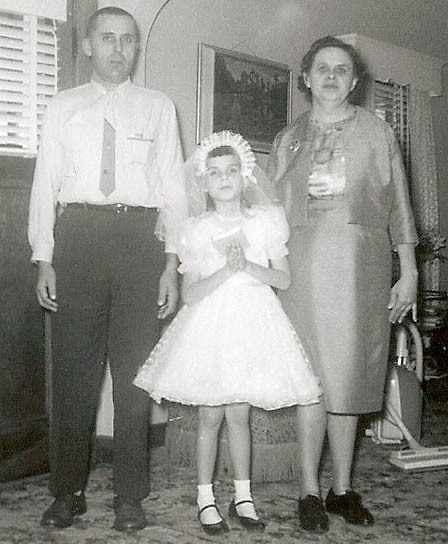 Paul Gestautas with wife Helen (Banzin) Dodd Gestautas and their daughter Paula Gestautas, around 1962. Helen’s daughter, Mary Ann Dodd, was born in Springfield in 1938. Later, William and Helen divorced and Helen married a recent Lithuanian immigrant she met at St. Vincent’s, Paul Gestautas (b 1923) from Kelme, Lithuania. 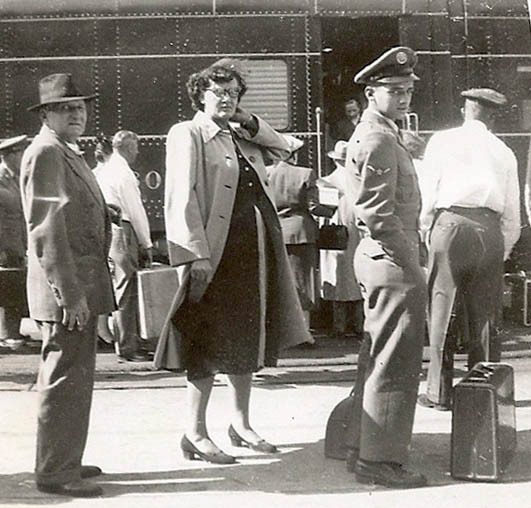 Paul’s uncle, Stanley Norbutas, had emigrated from Lithuania at the turn of the century and Paul arrived as a displaced person from Germany in 1949 under his uncle’s sponsorship. He worked at Pillsbury Mill, and a daughter, Paula, was born to the couple in 1956. Paula currently lives in Houston, Texas with her daughters and granddaughter. Mary Ann Dodd married Donald L. Dunham in 1958 and had 3 sons: Richard, Randy, and Rodney, before divorcing. Mary Ann’s only living first cousin on the Banzin side is Robert Banzin, son of Tony and Mary Banzin, who lives in CO. Another first cousin on the Banzin side, Robert “Bobby” Pokora, son of Annie Banzin, 1935-1991, worked as a Springfield policeman. Bobby Pokora spent a considerable amount of time with his grandma, Magdalena, and spoke fluent Lithuanian as a result. There are many Kellus half-cousins. In addition, Margaret (Magdalena) had several sisters who emigrated, so there are also some cousins on the Liutkus side. Margaret (Banzin) Hall, John Hall, Mary and Tony Banzin. Unidentified couple in the back. I believe my great-grandmother Ona has some form of the Banzin (Bandzinas in Lithuanian sometimes spelled Benzin) name. All documents that I have found have various versions of the name and I have not been able to find any information on her. Hopefully the info you provided here will give me a new start. She was married to Jonas Lazdauskas and lived on 1500ish Mason Street and later on 1540 Jefferson Street. The house is long gone when they expanded Jefferson in the middle 1970’s. I have one foto from the Jefferson Street house which shows my great-grandparent with another young lady, we often think this would have been Ona’s sister. I’m not even sure how I stumbled on this site but I was just searching my great uncle who was a banzin. Frank and also I knew of an Annie. I am a pokora. My father is Charles and grandfather is Robert (pokora). Reading this is very interesting and I feel like now I know a lot more about that side of the family that I have always been so intrigued by!